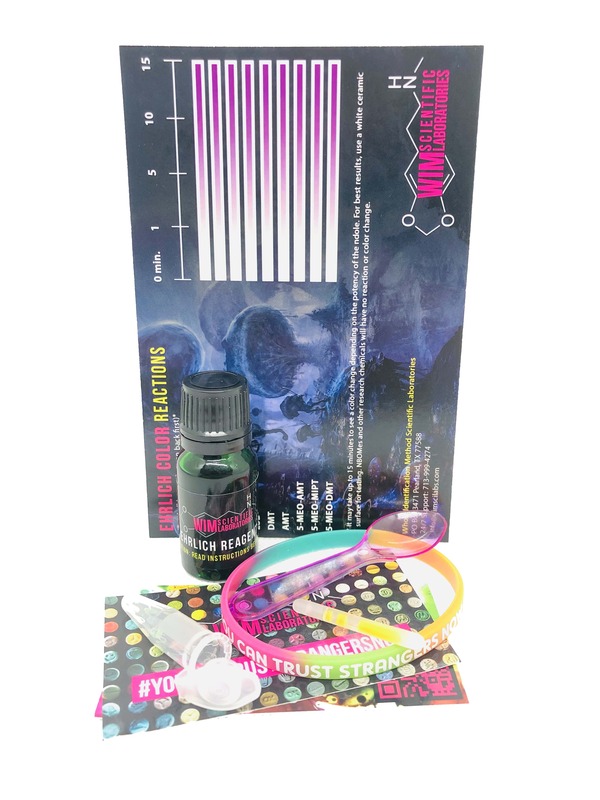 Our Ehrlich Reagent kit includes everything you need to test mushrooms, LSD, DMT and more. 1x (10ml) of Ehrlich Marquis Reagent – USA factory sealed ISO 9001 Quality Lab Material Certified Dropper bottle. Remove the reagent bottle from the child proof safety container. The packing absorbent can be throw away. Carefully open the Ehrlich Reagent’s factory sealed cap. Add one or two drops of the Ehrlich Reagent into the testing vile. The Marquis Reagent bottle cap should be closed tightly to ensure no leakage or unwanted exposure occurs. NOTE: A positive or negative reaction for a substance does not indicate that it is safe. Love this company and everything they stand for, amazing customer service. Seth went above and beyond to meet my expectations. The glows sticks were trippy and fun too lol.